There was never any doubt that it would be Staveley going through once Lee Holmes had given them the lead on just nine minutes. Christopher Coy doubled the lead on the quarter hour and six minutes later it was 3-0 through Danny Barlow. The teams went in at half time with the score at 4-0 after Holmes had netted his second, this time from the penalty spot five minutes before the break and Andrew Fox completed the scoring in stoppage time at the end of the game. There was an attendance of 90 there to see this Extra Preliminary Round game. Staveley MW will now host Parkgate in the Preliminary Round in two weeks time. Parkgate also play in the Koolsport North East Counties League but are in the Premier Division, one higher than Staveley. 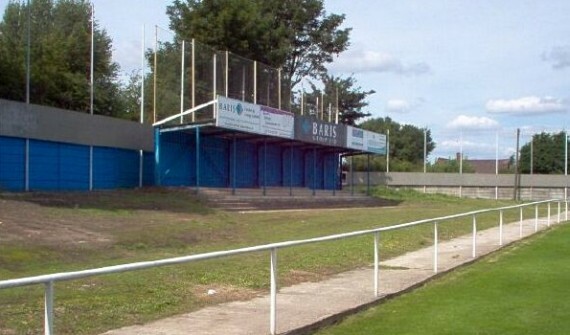 They are based in Rotherham and won through with a 2-0 away win at Ashton Athletic, a game that attracted a crowd of 35. Staveley Miners Welfare are now our team and like all the winners in the Extra Preliminary Round, they will pick up prize money of £750. The 201 eventual winners are now joined by 131 new clubs for the Preliminary Round. The Extra Preliminary Round results and the draw for the Preliminary Round are shown below.